Home Property Real estate Property Flipping vs Buy-To-Let: Which Is Best? Property Flipping vs Buy-To-Let: Which Is Best? 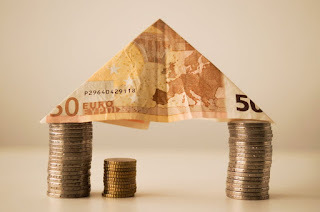 When investing in any form of real estate you have two main money-making methods. On the one hand, you have ‘flipping’ which involves buying a property of any kind, increasing its value in various ways, the selling it for a profit. Over on the other hand, you have the concept ‘buy-to-let’. This is the very simple idea that you buy real estate, then rent it out to tenants. In the real estate world, there’s always a huge debate over which idea is the best for making money. In this piece, we look at both ideas and figure out if there can really be one winner. Property flipping is probably the method most people associate with real estate investments. On the face of it, there are lots of benefits. Mainly, you get to see a return on your investment in a fairly short space of time. You can buy a property, increase its value, and sell it for a profit all within a year or 18 months. It almost makes the investment feel more worthwhile as you don’t have to wait long to get the money back, and more. The biggest problem with property flipping is that it’s easier said than done. On paper, it seems very simple, but there are many obstacles in your way. For starters, you need to find a property that’s well-priced but also has room for improvements. Then, you have to price up your improvements to ensure you don’t spend too much or you won’t make a profit. Finally, you have to deal with actually selling a property, which can be stressful. Buying a property and renting it out has been a very popular idea for decades. A lot of people choose this method as it guarantees you make money over time. There’s no worrying about trying to increase the value of your property or selling at the right time. You just sit back and watch the rent slowly come in. It’s a very popular idea amongst commercial real estate investors as well. You see, a lot of commercial investors realty doesn’t appreciate as much as residential properties do over time. Plus, they’ve harder to increase the value of, which makes renting the better option. There are two drawbacks with buy-to-let, and one is that you don’t get a lot of money right away. You won’t earn back all your investment at once, but you will earn it back over time. The second is that you have to find and look after tenants. You need to ensure you provide them with good living conditions - or good working conditions in commercial real estate - and you have a lot of responsibility. Plus, if tenants leave, your income stops until you find new ones. Is there a true winner in this battle of the money-making methods? No, there isn’t, and there doesn’t need to be. Both methods represent great ways of making money, and they suit different investors. If you like getting your hands dirty and doing up a property, then flipping suits you perfectly. If you’d rather sit back and earn a steady rental income for the rest of your life, then buy-to-let is better for you!